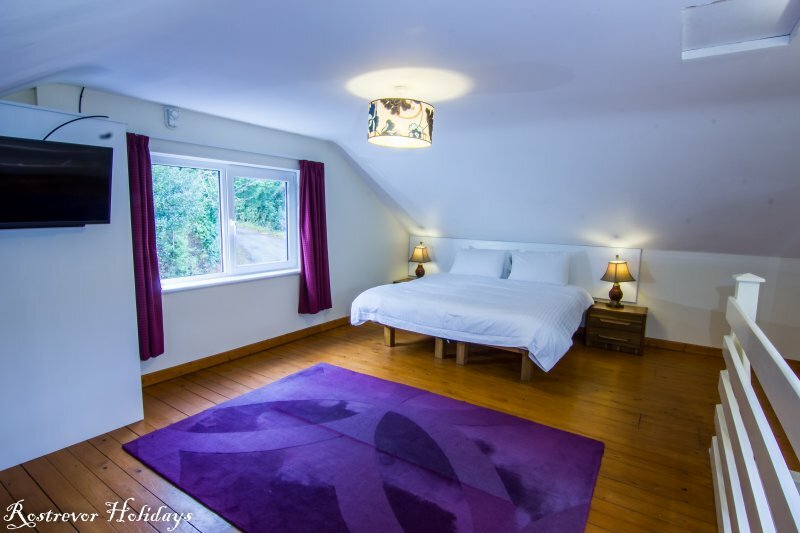 Based on the shape of a barn that used to stand in its place, Crotlieve 1 bedroom cottage is a 2-storey building at Rostrevor Holidays. 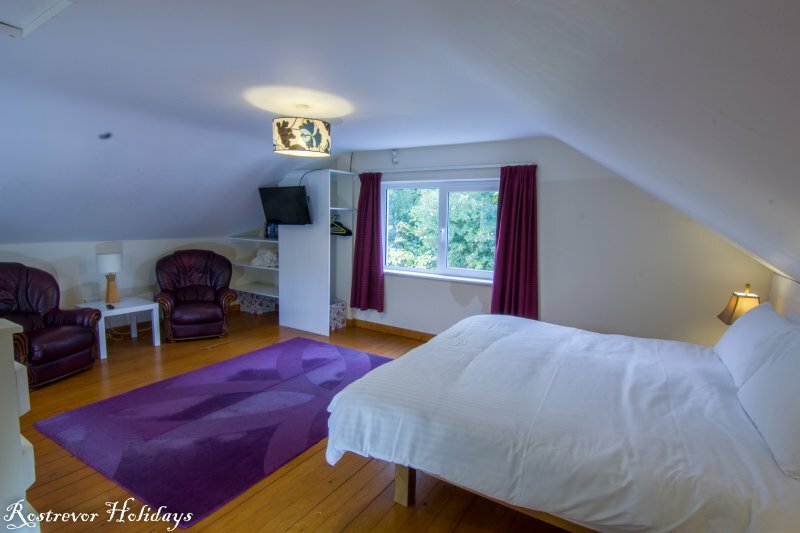 Enter through the door and walk up the white stairs to your large spacious bedroom, with a comfortable double bed. A seating area as part of the bedroom allows you to relax and read a book, or watch some TV. 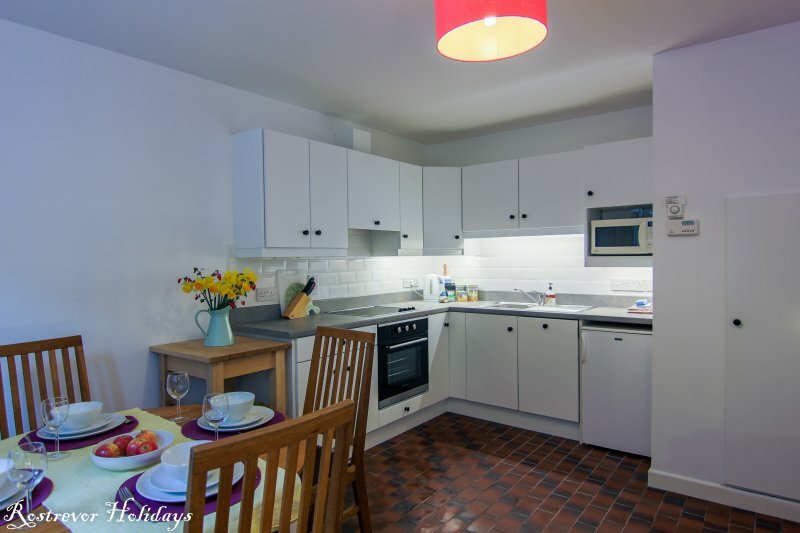 The kitchen is located downstairs, and was refurbished in 2016. 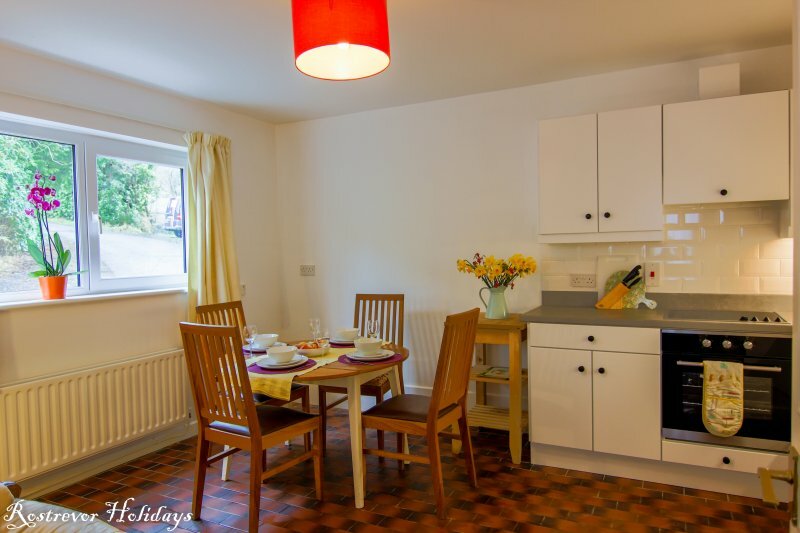 Plenty of storage space, along with a full oven and hob, microwave, and dishwasher, as well as being fully equipped, means you can make the most of your self-catering holiday. The shower-room is also located on the ground floor. Crotlieve is part of a group of cottages based on Rostrevor Holidays, in County Down. 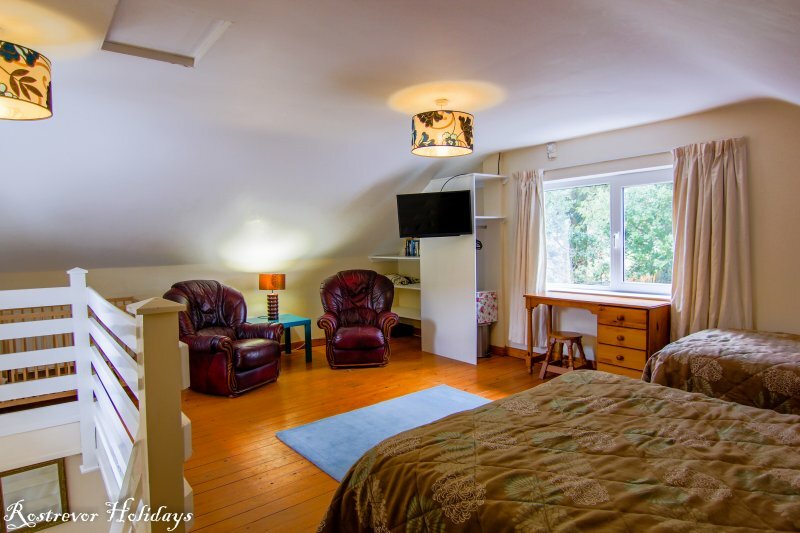 Situated 2 miles outside the village of Rostrevor, this 1 bedroom cottage is easily accessed from both Dublin (6o minutes by car) and Belfast (6o minutes by car). With a choice of 3 airports; (Belfast City, Belfast International, and Dublin) and 3 seaports; (Belfast, Larne, and Dublin), all under 2 hours drive. If you enjoy the outdoors, walk along our very own Yellow Water Nature Trail that offers up to 3km of walking along farmland and riverside. Keep an eye out for the patient heron waiting to catch some brown trout, or say hello to the Connemara ponies in the nearby field. For those wishing to include a bit more activity, we have a tennis court onsite, with a full sized basketball net. For children, there is a small playground, and very long slide. 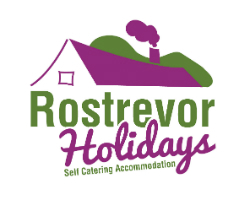 Rostrevor Holidays is located at the foothills of the Mourne Mountains, looking down towards Carlingford Lough. This means there are a multitude of options for you to spend your holiday. Either mountain biking on the world famous trails, or driving along the Mourne Coastal Route and stopping off to enjoy some local cuisine. If you wish to visit the Giant’s Causeway or Bushmills Distillery, this can easily be done in one day. Or take a trip down to Dublin city or up to visit Titanic Belfast.